How Does a Catfish Reproduce? Catfish species include channel cats, flathead catfish and bullheads. While some differences exist, most catfish are opportunistic feeders, and some are omnivores that include plant material in their diets along with animals. Catfish seek food anywhere along the water column, from the surface to the depths. A high concentration of odor-detecting organs and taste buds along their bodies help catfish find food even in muddy waters where visibility is low. Although he may eat a few, the male catfish guards the eggs and newly hatched fry until they are strong enough to go out on their own in search of food. Before catfish grow and reach maturity, they hunt for foods they can easily capture and consume. 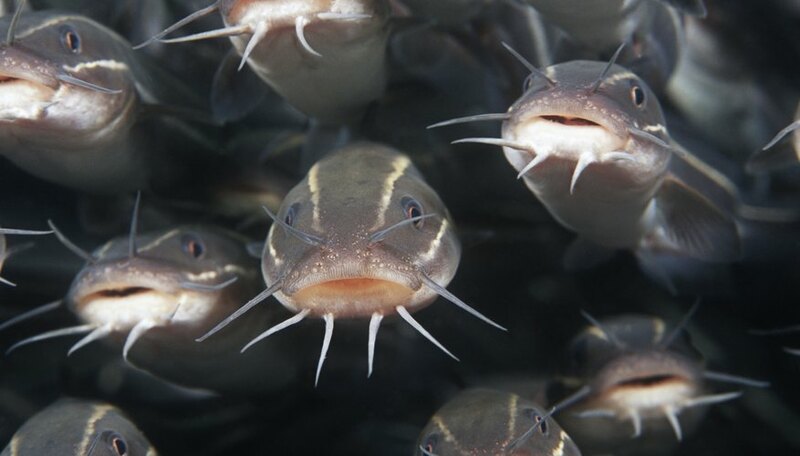 Worms and other small invertebrates -- animals lacking a backbone -- are a prime food source for young catfish. This prey mostly includes the aquatic larvae of insects, such as dragonfly nymphs, caddis fly larvae and hellgrammites. Young catfish diets also include small crayfish. Diets tend to become more species specific as catfish grow older. Flathead catfish, for example, rarely eat anything besides live fish. They often hide behind submerged cover and seize any fish they can get their mouths around as it swims by unknowingly. Bullheads and channel cats search for live food as well but will not pass up a dead or decaying fish lying near the bottom of the lake or stream. Channel cats and bullheads also catch and eat fish, frogs, crayfish and clams. Channel cats typically vary their diets depending on the available food source during the season. While flatheads are carnivores, channel catfish will supplement their diets with plant material, including fruits or berries that drop into the water. Farm pond catfish get their nutrition from specially formulated pellets. These pellets should include a protein concentration of between 28 and 32 percent, according to William A. Wurts, an agriculturist with Kentucky State University, in a 2001 paper published in World Aquaculture. 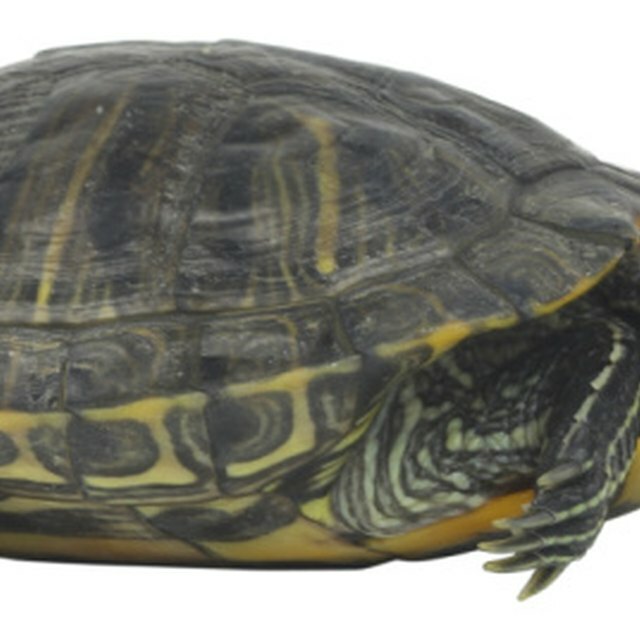 In addition, Wurts recommends feeding pellets that float when water temperatures reach 65 degrees Fahrenheit or more. Switch to slowly sinking pellets with water temperatures that fall between 60 and 65 degrees, and sinking pellets at water temperatures below 60 degrees. Since catfish have such pronounced sensors for locating food, anglers select bait with strong, often unbearable odors. The scent spreads in water, attracting catfish to the food. Stink baits, chicken or other animal livers, and dough balls are possible baits. Catfish also take baits of live or cut fish, night crawlers and crayfish. Does Mahi Mahi Have Fins & Scales? How Do Fish Obtain Food? Korpella, Robert. "What Do Catfish Eat?" Sciencing, https://sciencing.com/what-do-catfish-eat-4588588.html. 13 March 2018. What Is a Dolphin's Main Source of Food?